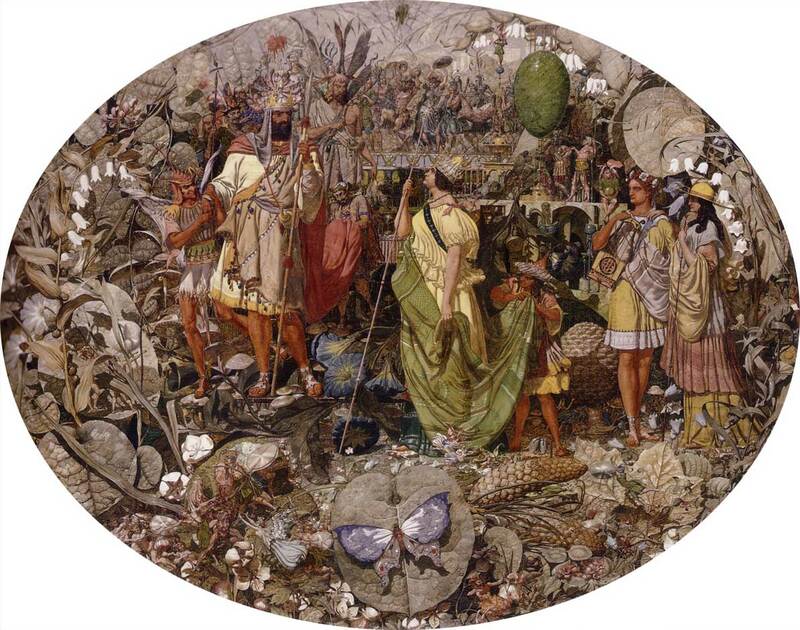 Two centuries ago today, 1 August 2017, Richard Dadd was born in Chatham, Kent, England. In the previous six articles in this series, I have shown as many of his paintings that I have been able to locate in usable images, which have traced his artistic development, his success, and the long drawn-out tragedy of his life in institutions for the ‘criminally insane’. In this final article, I show what I consider to be his finest paintings, and think a little on Dadd as an artist. Henry Hering (1814-1893), Portrait of Richard Dadd (c 1856), photograph, further details not known. Wikimedia Commons. 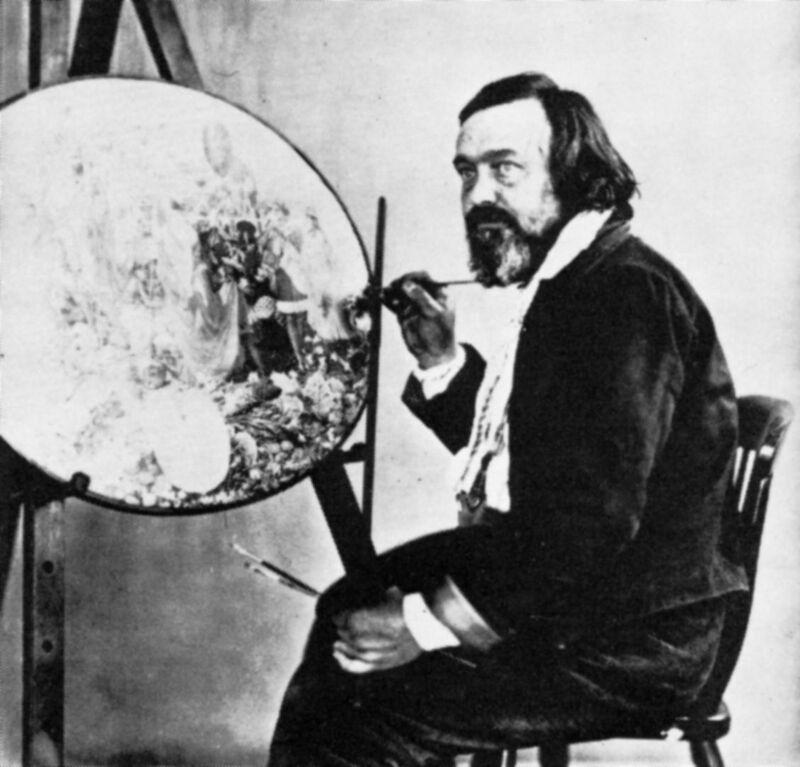 Henry Hering’s photographic Portrait of Richard Dadd was taken when he was working on Contradiction: Oberon and Titania in 1856. 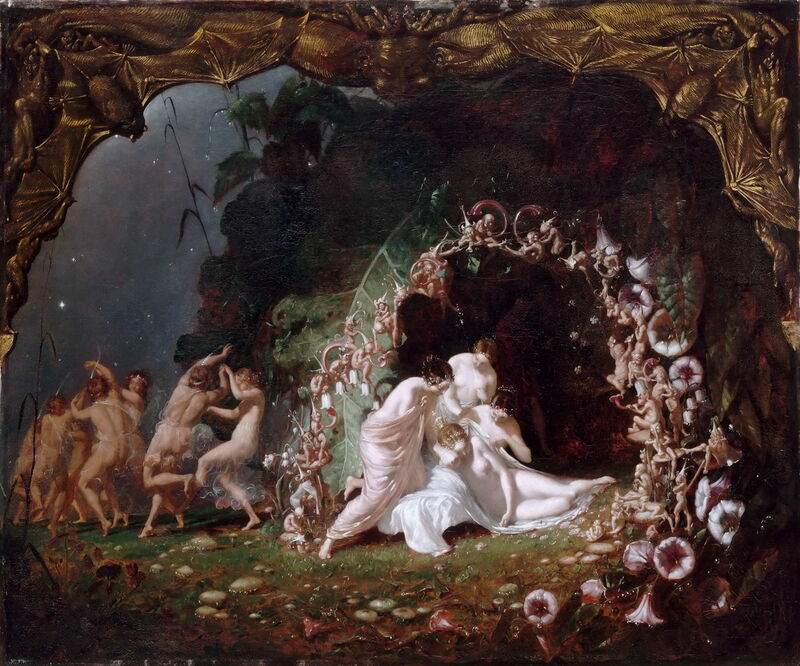 Richard Dadd (1817–1886), Titania Sleeping (1841), oil on canvas, 64.8 x 77.5 cm, Musée du Louvre, Paris. Wikimedia Commons. 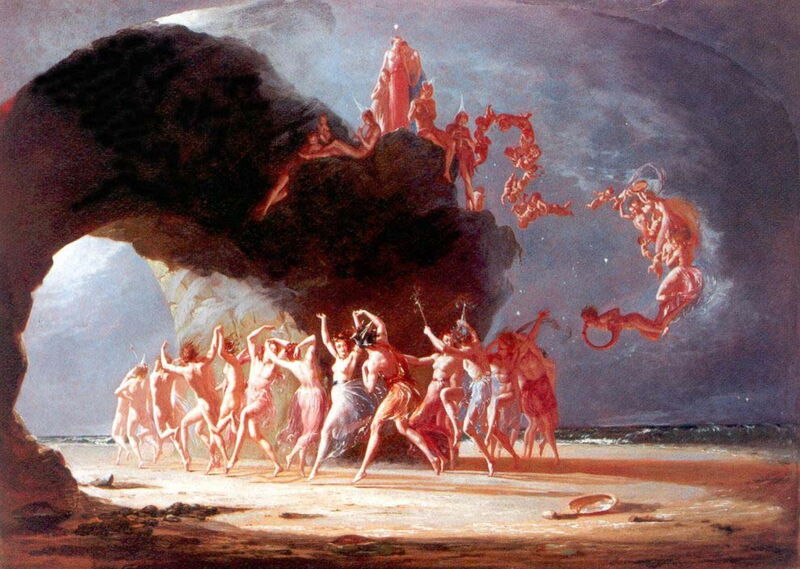 Dadd’s painting first really flourished when he was in his early twenties and took up ‘faerie painting’. Although he did not work long in the sub-genre, his few paintings are at least as good as the best from its leading exponents, and showed his technical skills, his great imagination, and his superb composition. Contemporary opinion was that he had a bright future ahead of him; of that there can be little doubt. 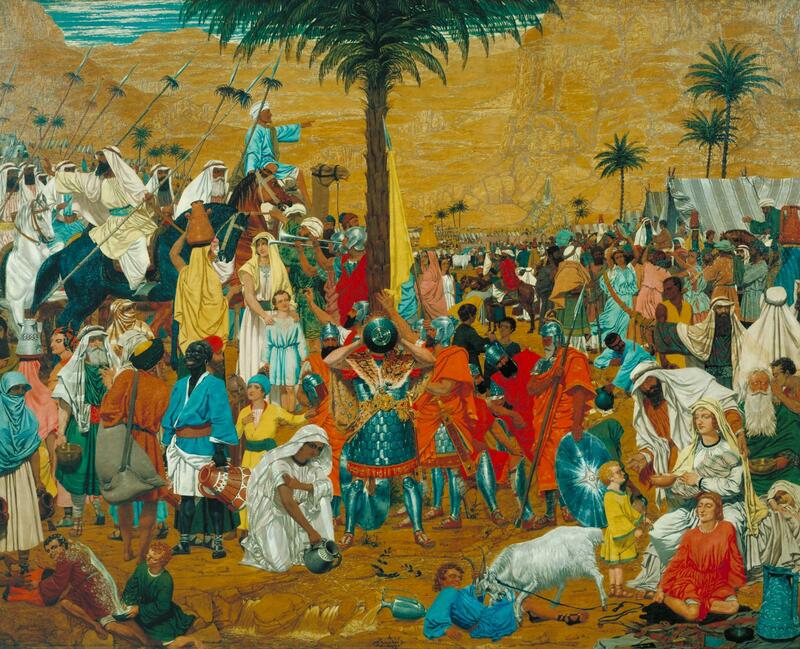 Richard Dadd (1817–1886), Come unto These Yellow Sands (1842), oil on canvas, 55.3 × 77.5 cm, Private collection. Wikimedia Commons. His adoption as artist-companion to Sir Thomas Phillips was a mixed blessing. Phillips turned out to be a major inhibitory factor on Dadd’s art, but took Dadd to lands, people, and scenery which he would otherwise not have experienced. For an artist with little experience of landscape painting in such conditions, Dadd did remarkably well. 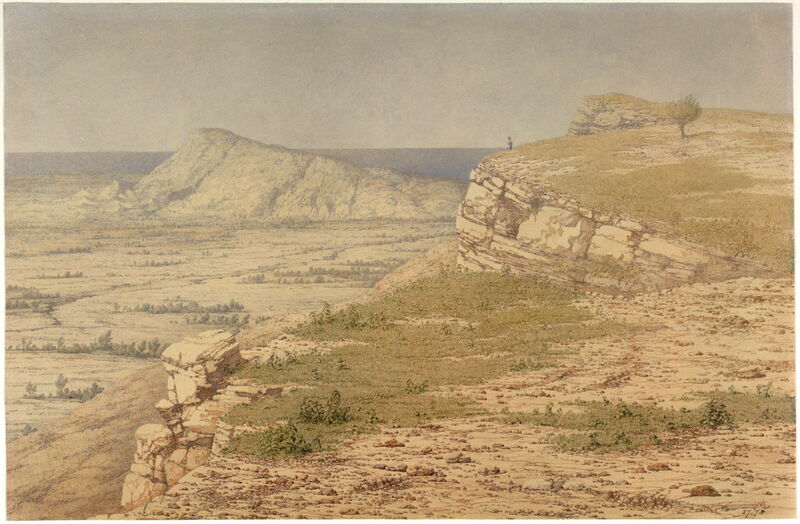 Richard Dadd (1817–1886), View of the Island of Rhodes (c 1842-43), watercolour on paper, 24.5 x 37.2 cm, The Victoria and Albert Museum, London. Image courtesy of and © Victoria and Albert Museum, London. Just as Dadd’s faerie paintings had been rich in fine detail, so were his landscapes, which highlights the enormous difficulties that he must have faced when travelling with Phillips, who left precious little time for the briefest of sketches. 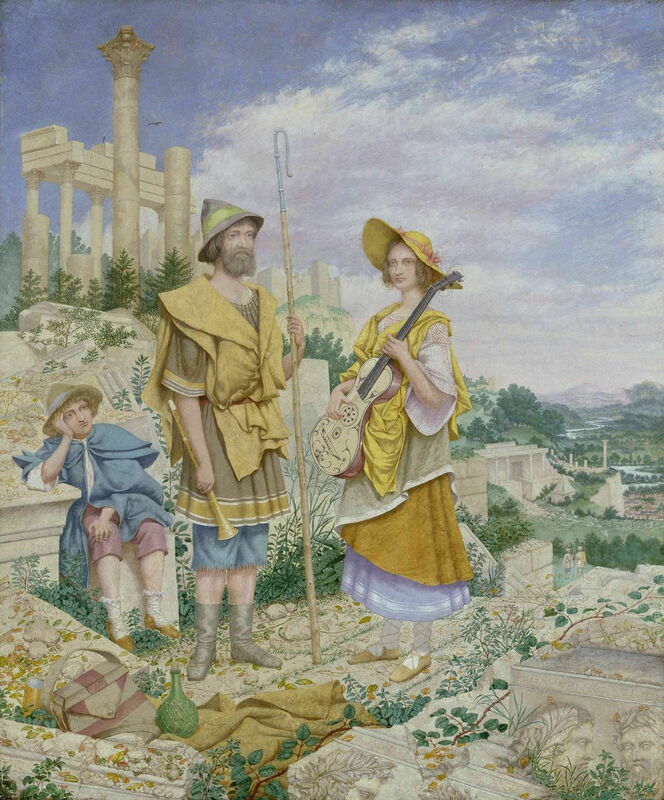 Richard Dadd (1817–1886), Jerusalem from the House of Herod (1842-43), watercolour on paper, 16 x 25.5 cm, The Pierpont Morgan Library, New York, NY. Image via http://www.noumenal.com/marc/dadd/, origin not known. Over the following three years or so, Dadd was able to bring some of his landscapes from his travels to a very high standard. Not a match with JWM Turner, of course, but strongly evocative works for someone who was primarily a figurative painter. 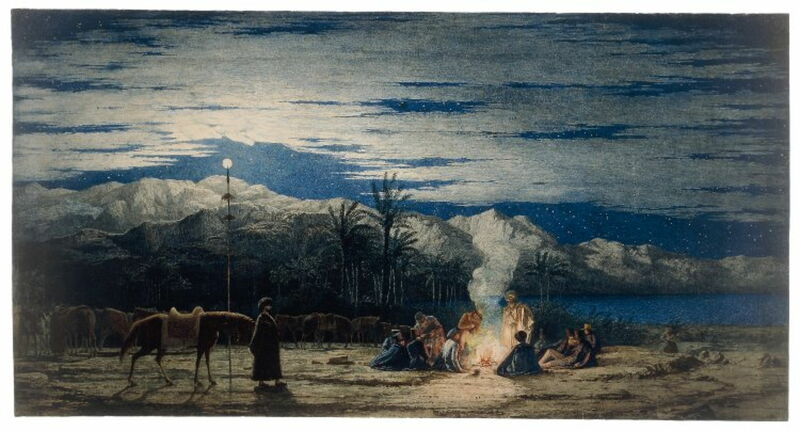 Richard Dadd (1817–1886), Halt in the Desert (c 1845), watercolour on paper, 36.8 x 70.7 cm, The British Museum, London. Courtesy of and © Trustees of the British Museum. After several months of growing problems with his mental health, Dadd went into an acute psychotic crisis, murdered his father, fled to France, and was trying to murder another person when he was arrested. Thankfully society, both in France and Britain, was changing its attitudes to mental illness. Although he didn’t receive the compassion, care, and treatment which we might hope for today, it was recognised that he was not responsible for his actions. In the late summer of 1843, when he was only twenty-seven, Dadd entered the first of three institutions for the ‘criminally insane’, where he remained for the next forty-three years, until his death. Some have suggested that Dadd suffered from severe bipolar disorder, but all the indications are that it was paranoid schizophrenia. In those days there was minimal understanding of the condition, and no useful treatment of any kind. His confinement was primarily to protect society from him, and given his record of one murder and one attempted murder, however sympathetic you might be for Dadd, in the circumstances it was the only practical option. Paranoid schizophrenia may also explain some aspects of his art, particularly his obsessive detail, although it is perfectly possible to be obsessive about detail without being in the least bit schizophrenic. Interestingly the clinical features of his illness, such as his belief that the Egyptian god Osiris was directing his actions, were not reflected in his painting. When we look at Dadd’s paintings, we are not looking at the ‘art of a madman’, but the creative genius of an artist who tragically happened also to be ‘mad’. 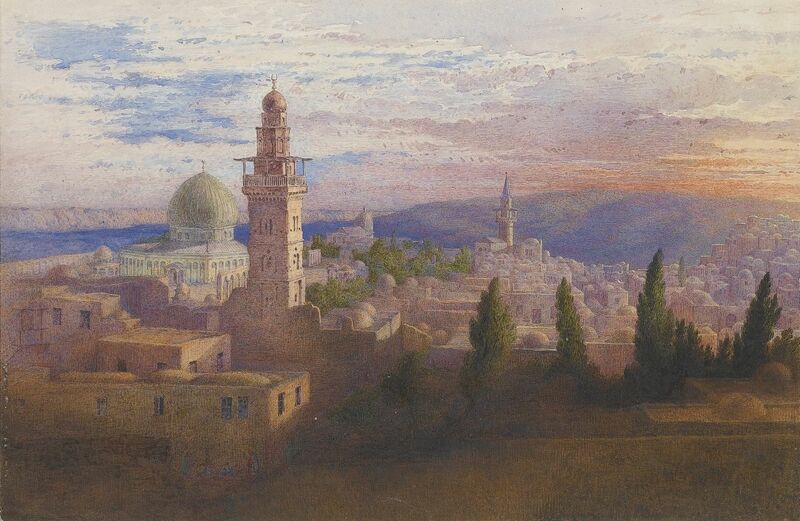 While he was at Bethlem Hospital in London, those entrusted with Dadd’s care proved to be quite supportive of his painting, and he was even encouraged with commissions from them. Their enthusiasm may not have been entirely selfless, as several managed to collect large numbers of his works, but none appears to have done so for the purpose of personal gain. I think that they were genuinely appreciative of his paintings. Dadd had no insight into his illness, but ample exposure to those of others. He made remarkably little reference to mental illness or disturbed behaviour, as if painting from his extraordinary visual memory, or narratives from the books which he read, was in another existence. His two masterpieces from his mature work are both faerie paintings which go far beyond the sub-genre ever did in other hands. Both were inspired by Shakespeare, mainly the play A Midsummer Night’s Dream. These paintings surpass any other work in the sub-genre in their originality, and the complexity of the narratives which thread across every nook and cranny of the canvas. They were years ahead of their time, and probably unmatched until well into the twentieth century. Had Dadd been able to exhibit them in the world outside his asylum, they would (perhaps eventually rather than immediately) have been hailed as outstanding. The move to Broadmoor had a major impact on Dadd and his painting. 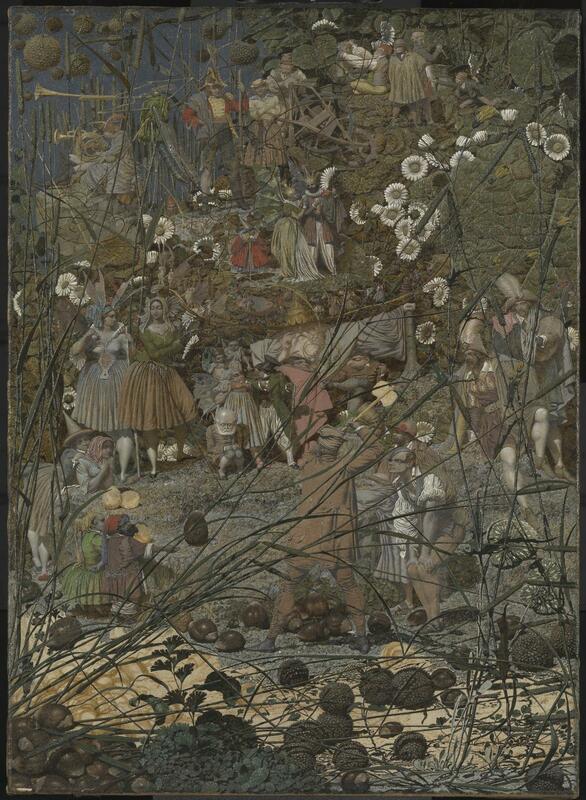 Although he managed to create a couple of further fine paintings, such as his Wandering Musicians, nothing approaching The Fairy Feller’s Master-Stroke was to come in a period of gentle decline. 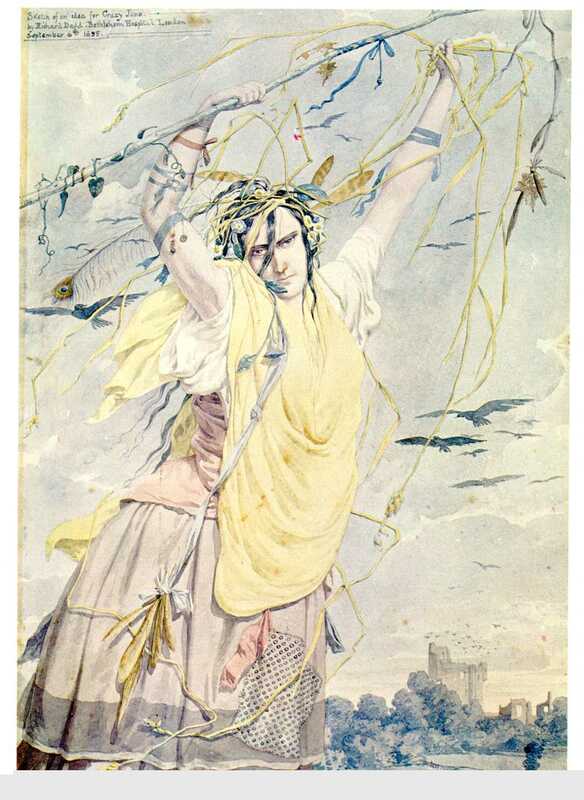 I believe that Dadd was a major painter of the nineteenth century, but his works, particularly Contradiction: Oberon and Titania and The Fairy Feller’s Master-Stroke, were effectively suppressed until the twentieth century. That was not intentional, but a tragic result of a tragic turn in his life. His paintings show that mental illness should be no barrier to artistic creativity or career. I’d like to think that today Dadd would have got a better deal. But has society really changed its attitudes to mental illness that much over those two hundred years? Posted in General, Life, Painting and tagged Bethlem, Dadd, faerie, Frith, painting, PRB, Pre-Raphaelite, Shakespeare, Turner. Bookmark the permalink.